In 1549 three Catholic missionaries landed in Kagoshima, Japan intent on spreading the word of God to this new land. They were Francis Xavier (later made a saint), Cosme de Torres and Father John Fernandes. They would meet with great success and at its height the number of converts would number 300,000 including members of the aristocracy. However, by the beginning of the next century they would have been forced into hiding their beliefs and, without the help of priests to guide them, their religious beliefs would evolve into a strange and unique mix of Christianity and traditional Japanese religion. It is important to note that religion is not viewed in the same way as in the West. If one asks a Japanese person what religion they are the response will usually be confusion. The common approach to religion is to be born Shinto (Japan’s native animist religion), marry Christian and die Buddhist. The Catholic missionaries were not, as some history would tell us, very organised. In the background there was much political wrangling between Portugal and Spain over who had the right to proselytize in Japan. The act of sending missionaries was, for the Catholic monarchs, a way of beginning the process of colonization. In Japan colonization was not an option but Christianity could open up exclusive rights of trade with the Japanese. Under the Treaty of Tordesillas in 1494 the world had been divided into spheres of influence between Spain and Portugal. Although not discovered at the time of the Treaty the Pope decided that Japan fell under the Portuguese sphere of influence and would form part of the diocese of Macau. Spain didn’t totally live up to this and would send Dominicans and Franciscans to Japan from the Philippines. This almost created a schism among the missionaries in Japan but overall the Jesuits, sponsored by the Portuguese were more successful and the Spanish missionaries were eventually cast out. Trying to explain the idea of Christianity to the Japanese proved quite difficult. At first Xavier had trouble with translation when his translator transliterated God as the Sun leading some to see it as a sun worshiping cult. Others noticed a similarity between Jesus and Buddha and thought that it was simply a new sect of Buddhism that had come from India (Goa was a base of operations for the Jesuits in the East). Nonetheless the Jesuits decided that their best chance of success would be to convert Daimyo (or land owning lords) and then Christianity would filter down the social order. In the southern island of Kyushu, where they had landed, they met with great success and this would create a Japanese homeland for Christianity. The success of Christianity had much to do with warfare as Japan had been in a civil war for the better part of 100 years. For the Daimyo tolerating Christianity and the missionary work of the Jesuits was a political decision which gave them access to guns and other goods from Europe, giving them an edge over the Daimyo who didn’t have relations with the West. However, in 1600 the long civil war came to an end with Tokugawa Ieyasu becoming Shogun. 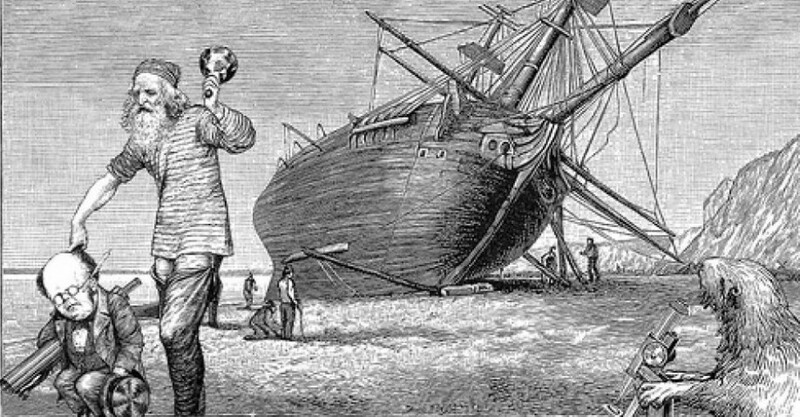 Shortly before becoming Shogun, Tokugawa had established a shipwrecked English mariner called William Adams at his court. The Portuguese and Spanish had encouraged an image of Europe in Japanese minds of a mighty Europe that was united under the universal rule of the Pope in Rome. This illusion was shattered by the Protestant Adams (who later became a Samurai and the protagonist of the TV series Shogun and inspired a book Samurai William). Adams would also inform Tokugawa of the Treaty of Tordesillas and plant the suspicions that Christianity was being used as means of conquest by the Portuguese. Once Shogun, Tokugawa started to proceed along a policy of national seclusion from the world for Japan and a gradual outlawing of Christianity. This was brought forward by Tokugawa’s grandson, Tokugawa Iemitsu, after the Shimabara Rebellion, widely remembered as a Christian uprising. The rebellion, in Kyushu, was actually started by resentment to higher taxation and famine but because most of the participants happened to be Christian Iemitsu suspected foreign involvement. This led to a complete closure of Japan and Christianity was to be completely forbidden under pain of death. It was at this point that the Roman Catholic church gave up on Japan and assumed that Christianity there had all but died out until, in the 19th century when Japan became open once more, that a priest in Japan was approached by some Japanese peasants who claimed to be Christians. Its turns out that a small group of peasants in Kyushu had managed to survive the 250 years of persecution but in this period of isolation their version of Christianity had become quite different. In order to hide their beliefs they had substituted Buddhist statues for the Christian ones. 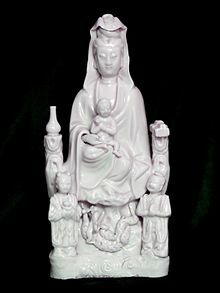 The Buddhist goddess Kanon became a substitute for the Virgin Mary and other small Buddha statues had a hidden cross on the back to hide from officials. 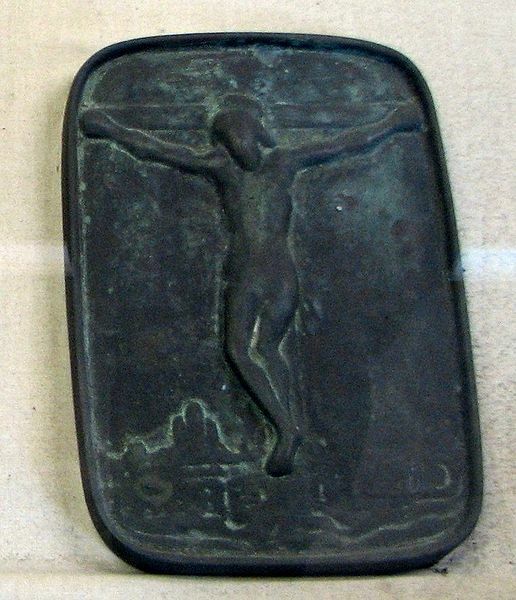 When caught a Christian would be forced to recant his faith by uttering blasphemy and treading on a sacred image called a fumi-e (literally an “image to tread on”). If anyone refused to do this they would be crucified. 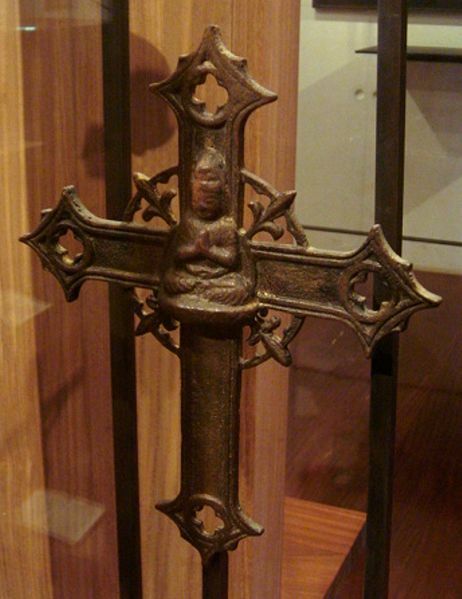 Japanese Crucifixion was a lot worse than the Roman kind as one was not just nailed to a cross but there would also be spears inserted into the sides of the victim, taking care not to damage any vital organs but to create as much pain as possible. All traditions were passed down orally and even the prayers were redesigned to become like Buddhist chants although keeping some words in Latin or Portuguese (e.g. Deus meaning God). For many the prayers lost their meaning and essentially became a strange form of the traditional ancestor worship but directed at saints and martyrs. When Japan reopened these hidden Christians were welcomed back into the Catholic church provided that they adopt Catholic teaching and dropped the idiosyncratic practices that had grown during isolation. Most did, some didn’t. Those that didn’t became called Hanare Kirishitan (離れキリシタン) or separate Christians. They now live mostly on the Urakami and Goto islands, a short boat ride from Nagasaki harbour and have essentially become tourist attractions. These “Separate Christians” are now on the verge of extinction there being but two remaining priests on the Goto Islands, both of whom are over 90 and wont talk to each other. When they die (if they haven’t already at the time of writing) there will be nobody to replace them as priests and the few surviving laity will therefore have to conduct all worship in private and eventually, in the near future, it will die out ending a tradition going back 250 years and a unique example of the evolution of Christianity in the seclusion of a foreign land without guidance from the West.